Bishop Don Sproxton prepares to celebrate Mass with youth from Perth during World Youth Day festivities in Poland. Photo: Supplied. 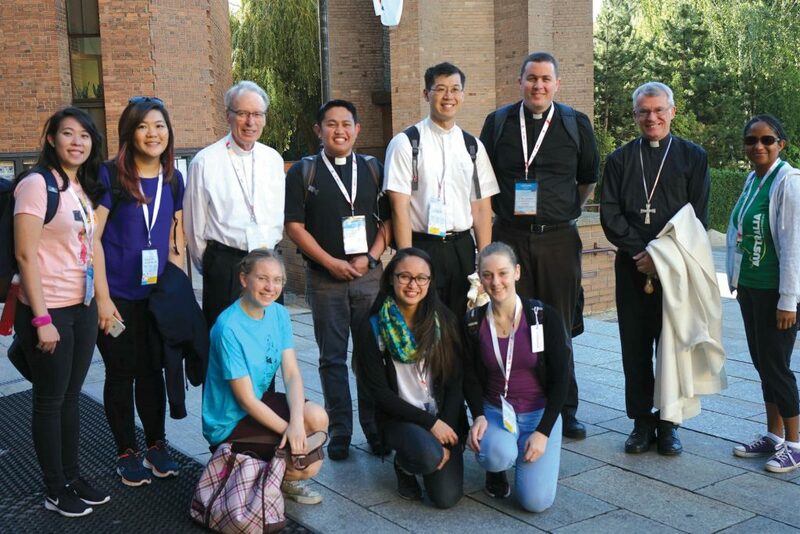 For Bishop Don Sproxton, attending this year’s World Youth Day (WYD) in Poland provided a great opportunity to visit sites of spiritual significance, to meet young people and to reflect on the messages that Pope Francis – and the Church generally – has for them today. Looking back on the event – held from 26 to 31 July – Bishop Sproxton said the Holy Father seemed to strike a chord with young people at WYD, encouraging them to take a more active role in their societies. “The speech Pope Francis gave to us at the Vigil on the Campus Misericordia in Kraków was received enthusiastically by the young,” Bishop Sproxton said. “He helped them to see how forces in the world today are trying to take away our freedom to choose the way of joy and happiness as presented by Jesus Christ. “Young people are being encouraged to seek security for their lives by retreating to a place of safety – as he put it, to seek the ‘soft sofa’ and be transported from the issues of the world by escaping to the world of video games and the computer screen. By contrast, Pope Francis had urged young people to build a culture of fellowship and love for others. “The pilgrims cheered as he finished by saying to them: ‘Have the courage to show us that it is easier to build bridges than walls…..to challenge us to take the path of fraternity…..Jesus, who is truth, is asking you to abandon the paths of rejection, division and emptiness…..Are you up to this? May the Lord bless your dreams’,” Bishop Sproxton added. Bishop Don Sproxton, third from left, with Fr Brennan Sia, fifth from left, Fr Mark Baumgarten, and Archbishop Timothy Costelloe, together with youth from Perth during World Youth Day festivities in Poland. Photo: Supplied. Before arriving in Poland, Bishop Sproxton, together with Archbishop Timothy Costelloe and pilgrims from Perth, stopped off in Italy to visit some of the great basilicas of Rome and sites connected with St John Bosco, the founder of the Salesian Order. “We visited the four great basilicas and passed through the Holy Doors of each,” he said. “We prayed for a deepening of our own faith, for our families and for the intentions of the Holy Father, Pope Francis. Many of our pilgrims had never been to Rome, but despite the very warm weather, the great city worked its charm on them. Bishop Sproxton said that Poland itself had offered many sites of religious significance where pilgrims could reflect, including places associated with former Pope John Paul II. 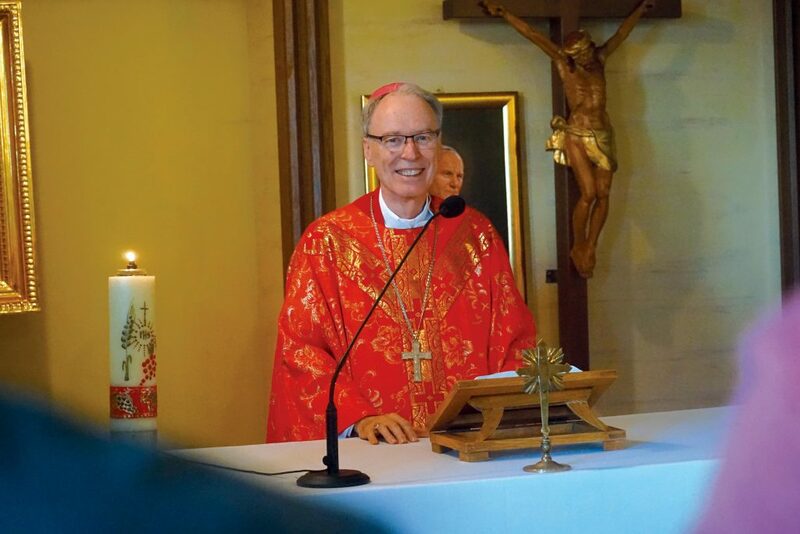 “Popular sites for the young people were the Chapel of Divine Mercy, where the tomb of St Faustina is located, and the Shrine of John Paul II,” he said. Key to his experience in Poland was meeting young people from the Perth Archdiocese, Bishop Sproxton said. “I do not get this sort of opportunity to be with groups of Catholics in the Archdiocese for an extended time like this,” he said.